Set of 2. Made from iron and Mirror. 6.5 in. W x 2.25 in. D x 9.5 in. H ( 3.4 lbs.). The Danya B. Set of 2 Mirror Tea light Candle Sconces with Metal Frame adds a touch of spectacle to any room. For a romantic ambience, this unique wall-mounted décor allows you to light a tea light candle on its frame during evenings, but lit or unlit, the minimalist, plain black design remains aesthetically pleasing. The Danya B. Set of 2 Mirror Tea light Candle Sconces with Metal Frame will surely add magic to any dull space! Dimensions: 6.5L x 2.25W x 9.5H in. 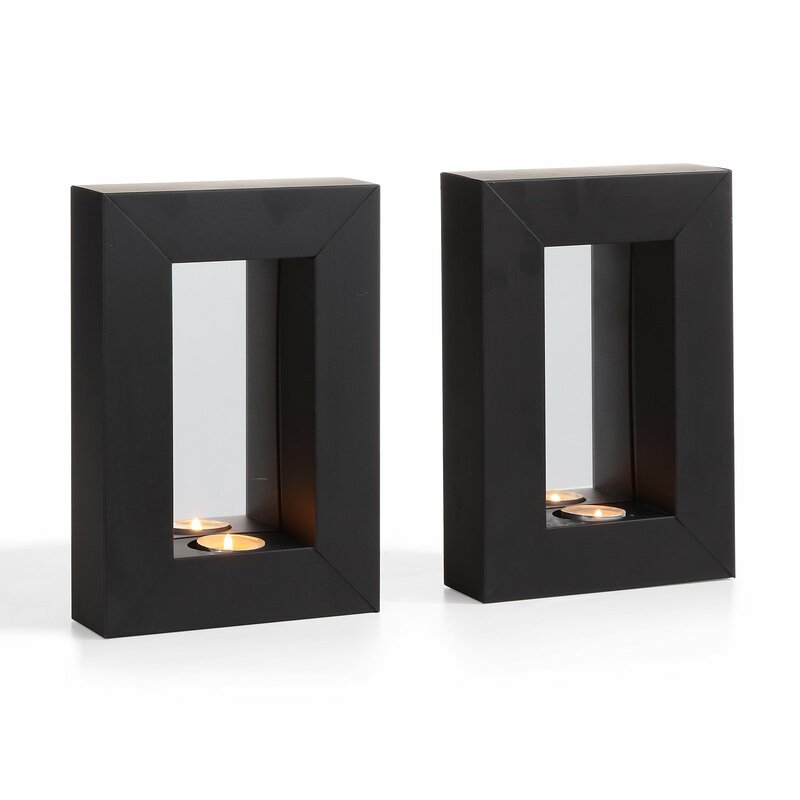 Home territory searches the web to find the best prices and availability on Sconces and related products foir your home like Danya B Mirror Tealight Candle Sconces Set of 2. For this page, related items include products we find that match the following keywords: "Sconce" at our vendor partner Walmart - Click More Info / Buy Now to check for price rollbacks!. Danya B Mirror Tealight Candle Sconces Set of 2 is one of 69 Sconces and related products available for sale through HomeTerritory.com, If you have any questions on this product, please give us a call at 734-971-1210 during the hours of 9am - 5pm EST for assistance. Thank you for shopping at Home Territory, the home furnishings superstore!